New Jersey Marijuana Activists Urges Quick Action on Legalization . As the governor and the legislature work to find an agreement on a marijuana legalization bill, legalization supporters are growing impatient. "There's been hearings, there's been committee meetings, there's a lot of discussions, there's a lot of science behind it but right now it's getting very frustrating," said. New Jersey CannaBusiness Association President Scott Rudder. "We understand the process takes time -- but enough is enough. "We need to get past this, we need to resolve some of these issues. It's very frustrating." Gov. Phil Murphy (D) had called for legalization within 90 days of his January inauguration, then it was supposed to be voted on this month, and the latest is by year's end. Stay tuned. Wyoming Poll Has Legalization on Cusp of Majority Support . A new poll from the Wyoming Survey and Analysis Center at the University of Wyoming shows nearly half of Wyoming residents -- 49 percent -- support legalization of marijuana for recreational use. That number is significantly higher when the question comes to medical marijuana, with 86 percent supporting legalization in that form. And 69 percent of residents think possession of a small amount of the drug shouldn't lead to jail time. The poll also notes that there has been a a statistically significant increase in positive views on marijuana legalization compared to polls from 2014 and 2016. New York Senate Heroin Task Force Releases Recommendations, Findings in New Report . The State Senate Task Force on Heroin and Opioid Addiction on Wednesday released its 2017-2018 report, including 11 recommendations on ways the state should address the opioid crisis. The committee wants the state to create "Centers for Excellence on Substance Use Disorder" as a way to improve access to treatment in rural parts of the state, as well as increasing resources to healthcare workers trained to treat substance abuse disorders. The task force also calls for reducing the cost of Naloxone, limits on opioid prescriptions, and tougher penalties for dealers whose drug sales result in fatal overdoses. 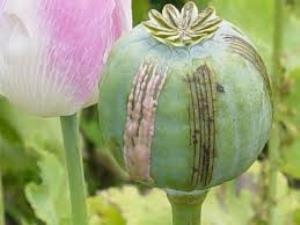 Russia Moves Toward Allowing Medicinal Opium Planting . A government commission has approved a draft law that would allow the cultivation of opium for medicinal purposes, citing the fact that most legal medicinal opium producing countries are participating in sanctions against Russia. "It is proposed to abolish the existing ban and determine the order of cultivation of plants for the production for medical purposes and veterinary medicine of narcotic drugs and psychotropic substances," the government press service reported.